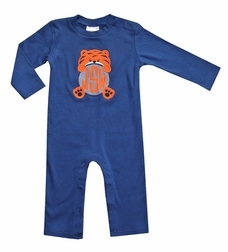 We designed this Auburn football team romper for a customer and just loved how it turned out so much that we had to offer it! 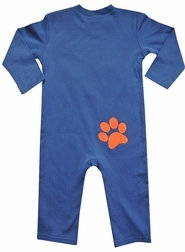 We start your choice of color romper (blue, gray or red) and applique it to match your favorite team! 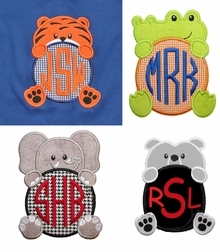 And, inside the applique is your little one's 3 initial monogram. 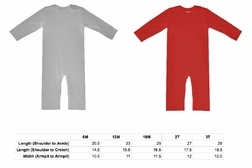 NOTE: fabrics used for the animals may vary with availability but will be in the same color scheme as shown.